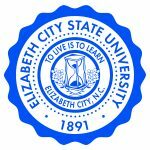 Elizabeth City State University is launching its strategic planning process and all members of the surrounding communities are invited to attend an open forum and let university administrators know what they hope to see in the future from the university. On Tuesday, April 16, from 5:30 p.m. to 6:30 p.m., community members are invited to attend the open forum. The forum will take place in the Ridley Student Complex, in room 216. ECSU has engaged The Hill Group, a higher education strategic planning firm, to facilitate the university’s strategic planning process and they will be assisting with the collection of data to help the university start planning for the future. A key component of the strategic planning process is input from the community. “ This is an opportunity for the university to hear from the community in an effort to build a bridge that will advance both of our futures. As we begin this important planning process, input from the community is a critical component to strengthening northeastern North Carolina and ECSU,” said Chancellor Karrie Dixon. The ideas expressed in this, and other, forums will work toward creating a plan that will capitalize on the university’s current growth and help plan for a sustainable future, explained Dixon. Additional open forums will be held for students, staff, faculty and the alumni.